Attendify's analytics dashboard allows you to view all the statistics about your users and gives you key insights that help you to understand your attendees and their experience at your event. 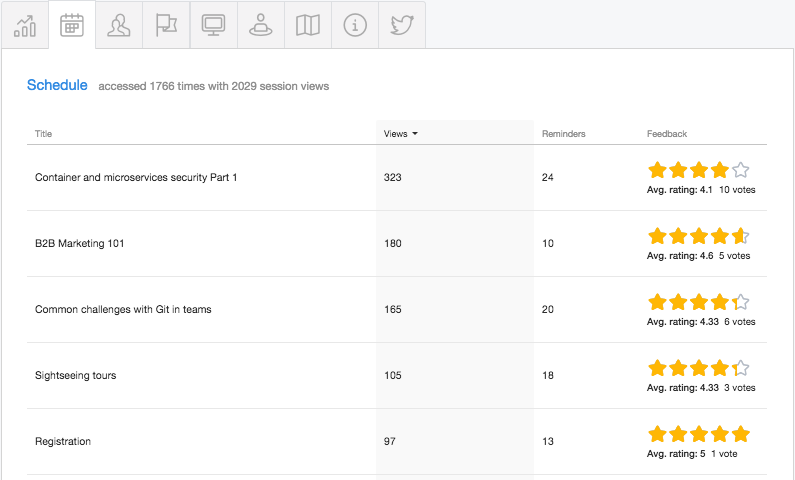 The analytics dashboard is updated in real-time to let you know exactly how your app is being used, which sessions are the most popular and which attendees are having the biggest social impact. Downloads: Number of times your app was downloaded, including re-installations (available only for branded apps). Sessions: Number of unique times users opened the app and used it. 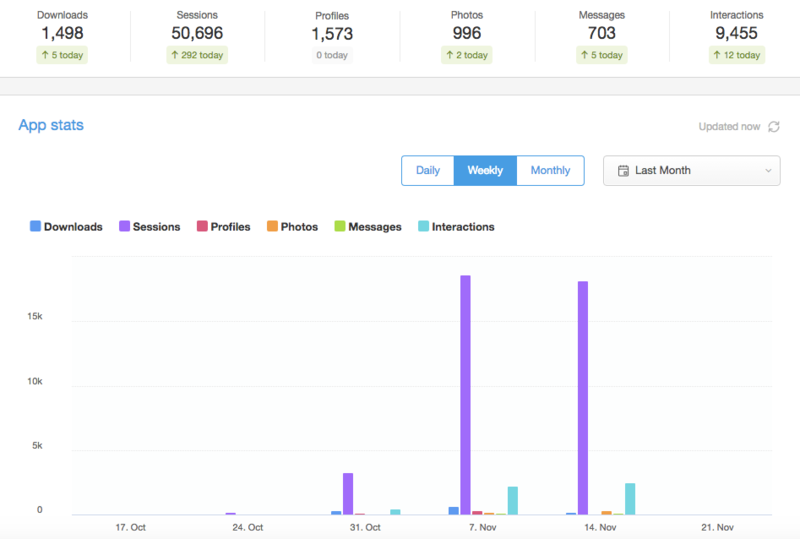 Profiles: Number of social profiles created in your app. Photos: Number of photos shared to your app’s Activity Stream. Messages: Number of messages, posts without photos, shared to your app’s Activity Stream. Interactions: The sum of the likes and comments posted to your app’s Activity Stream, a great indicator of how compelling and engaging users find the social content on your app’s timeline. 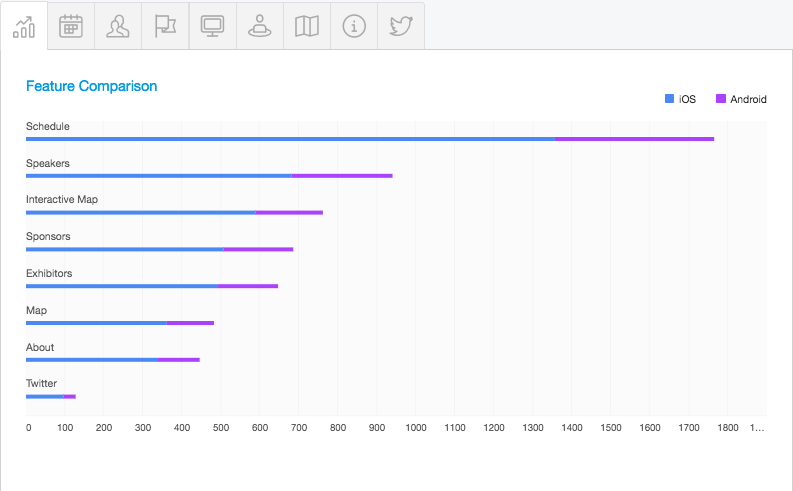 In addition, you can see which features of your app were the most popular and drill into each individual feature to see which speakers, sponsors, exhibitors, etc. received the most views. 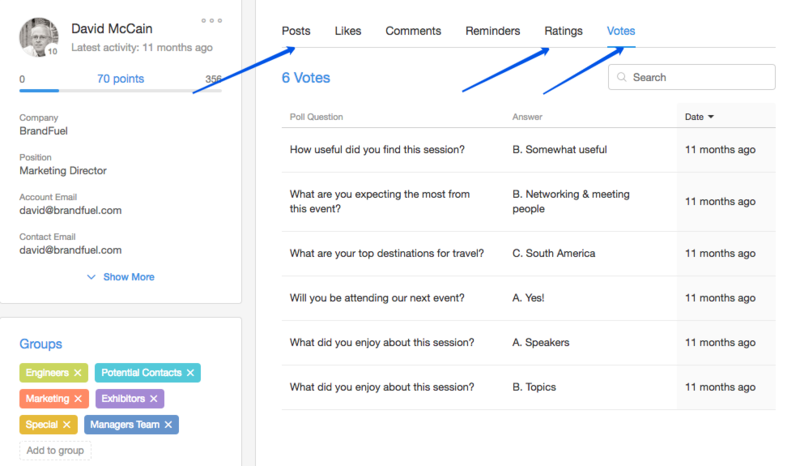 If you choose to enable the "Rate&Review" feature, you can view individual attendee feedback about each speaker & session (or export a full report in the archives). If you have any questions or need help using any portion of this feature please feel free to reach out to us over email at support@attendify.com or over chat on any Attendify.com web page.